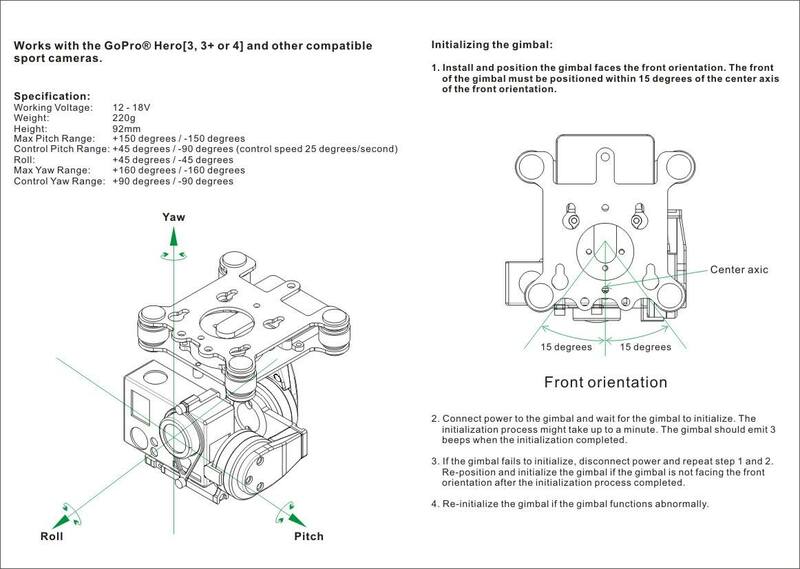 The Dimension gimbal is designed for handheld or aircraft/vehicle use. The gimbal crane features three motorized control units that allows pitch, yaw, and roll stabilization. Cameras attach by securing simple thumbscrews without any tools, and full setup can be achieved within a quick timeframe. The unit is designed primarily for compact cameras such as the GoPro Hero 3, 3+, 4, or other similar sized compatible camera units. The gimbal crane will have a set of rubber dampers that are included to tune out vibration depending on your mounting application. These dampers reduce vibration and eliminate shakiness during filming.